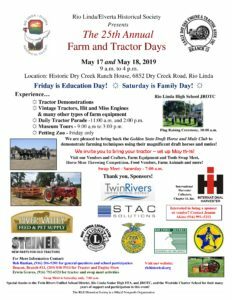 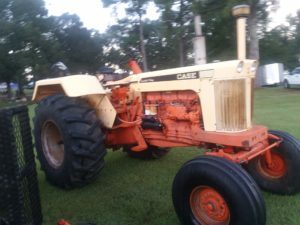 Features all types of antique farm equipment (tractors, engines, and more) all day plowing demonstrations, all day blacksmithing, model train display, kid’s activities, great food in the kitchen. 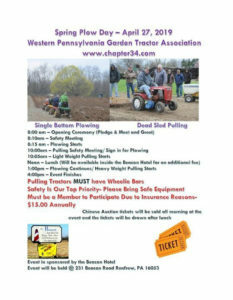 Tractor parades at 1pm weather permitting. 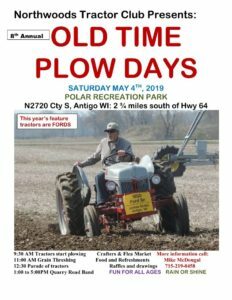 Tractor Pull and Show. 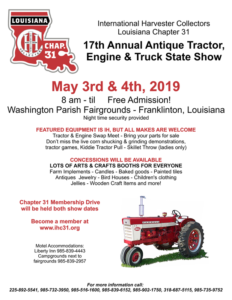 Free admission, concessions available.